2015 is the year of New England coring expeditions for me. 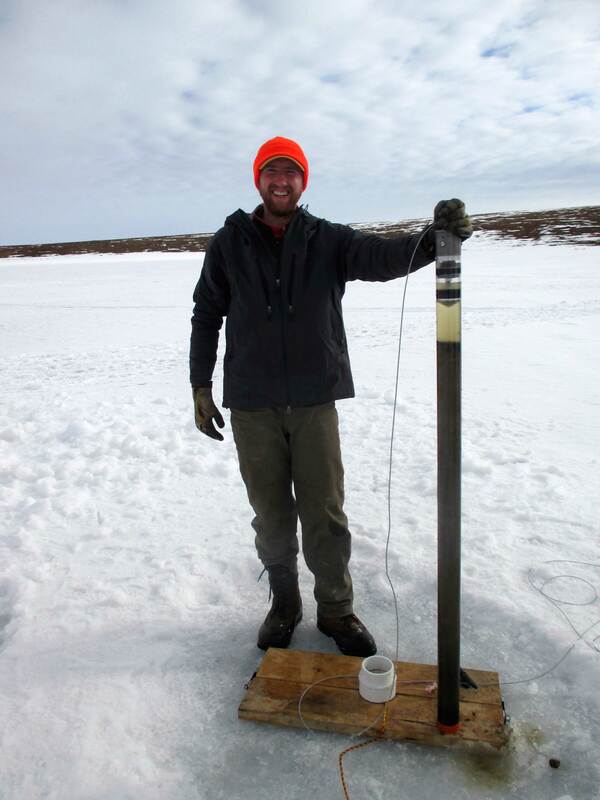 This spring we started out retrieving sediment cores from Siders Pond, MA for ancient DNA work (see previous post). Next I cored Providence-local Roger Williams Park ponds to assess nutrient pollution and heavy metal contamination since European settlement. If you have followed earlier blog posts on our weekly water quality monitoring, you may already be familiar with Cunliffe Pond in RWP. There are a total of 5 ponds in the park, all linked together by small streams and navigable by swan boat. Dave Murray is the environmental chemistry facilities manager at Brown. He oversees important instrumentation and also teaches a course called Instrumental Analysis. For this course, students collect environmental samples for the dual purposes of learning a variety of analytical techniques, and also for answering some outstanding environmental science questions. This year, students focused on tracing contaminants through the RWP pond network through space, time, and the food web. I helped a couple of students and Dave retrieve sediments for this project. The pictures below outline our field day of sediment collection. Constructing a raft out of two canoes, two 2×6’s, and a central coring board. Simple yet effective. Paddling to the coring site near the historic Roger Williams Casino. These students want to test the spatial distribution of heavy metals and polycyclic aromatic hydrocarbons (PAHs), especially in relation to roadways, parking lots, and historic buildings. Their classmates did similar studies on benthic invertebrates and fish, to see if these contaminants make it into the foodweb. Allan Huang and Ndubisi Ohah (aka Junior) contemplate getting their hands muddy after a successful benthic grab sample. As any phycologist or sediment scientist will tell you, a simple kitchen spoon is a critical piece of field equipment. Here, Allan samples surface sediment out of an Eckmen grab to be later analyzed for heavy metals and PAHs. Junior rocks his first canoe portage.